Selling a business is a versatile process that involves crucial points of consideration. It is not a simple and easy process but can be highly rewarding if done with extra care. If you are planning to sell your business, then you need to know the primary factors that can help you in maximising your chances of success. 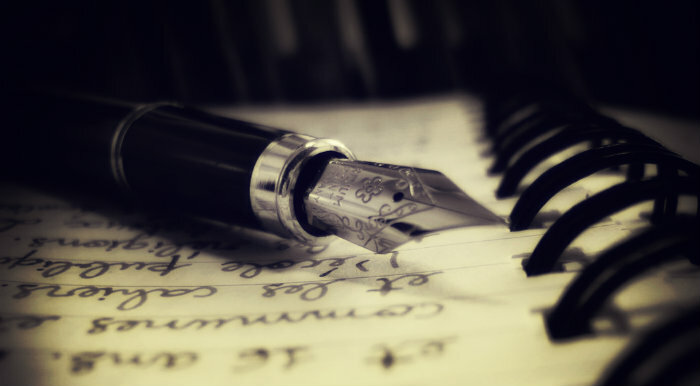 If you do not research well and follow the key steps, then you may end up wasting months and getting the right deal. Experienced buyers will see you and the business you are selling and will quickly pass it over if they see any potholes. Hence it becomes imperative to measure the factors and see where your business stands a chance. Things like determining the worth of your business, finding suitable buyers, how to maintain the confidentiality from your customers, competitors and employees, are few critical factors that you need to know before you start out in the market. Before you start the selling business, you should be aware of the overall process and how the business is valued. It is common to take minimum time of six to twelve months to sell your business once you are in the market. Understanding the value of your business is crucial when thinking of selling your business. One of the most common mistakes business owners make is to value their business based on revenue, however, they don’t know that growing revenue at the expense of cash flow, will often diminish the value of the business. The primary metrics for determining value are the cash flow and other factors like depreciation, taxes, amortisation, earnings before interest, are the primary metrics for determining value. One more critical factor is to remember that buyers do not just look at the financial aspect, but also at things like strong management, infrastructure, growth capacity etc. Maintaining the confidentiality of your business deal is essential. For that, you can use a third-party to engage buyers. Most business owners hire a business broker who assists in locating a buyer and protect confidentiality. Or you can also use an effective Non-Disclosure Agreement which is specific and detailed. Be upfront about everything while making a deal with your buyer. The investors are experienced, and they will understand it if you are not informing them everything in the beginning. Remember that any business is not perfect, and each one of them has positives and negatives and buyers do understand this. Being honest since the beginning will lower the risk of failing a deal. Honesty is the best policy in all business transactions and the same works with selling any business. 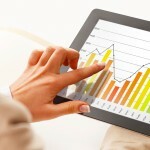 Buyers are not interested in the previous success or previous statistics of your business. At the time of sale, the past success of a business is almost irrelevant. Buyers are interested in the current performance of the business, generally of the past one year. They look for future sustainability and feasibility. Use effective techniques for the negotiation while selling your business to get the best prices. Focus on the deal structure, non-price financial consideration, taxes and intangibles to make a smart negotiation. Different businesses such as retail business, manufacturing business, cleaning business etc always undergo negotiation. For instance if you are selling your cleaning business, you need to have all the necessary details that buyers of cleaning businesses require. If you are able to give any information about your business such as simple tips to remove water stains from leather or carpet, then the buyer will have a positive impression that your business has potential and deserves negotiation. Collect all your important documents such as financial statements, tax returns etc. and review them with the help of an accountant. Make a list of contacts related to sales transactions and supplies, and cover relevant paperwork. Create copies of these documents to distribute to the potential buyers. You worked hard for your business, but selling that business is a huge task and takes careful planning to get the best results. Study the points given above and make sure you make the perfect deal for your business. 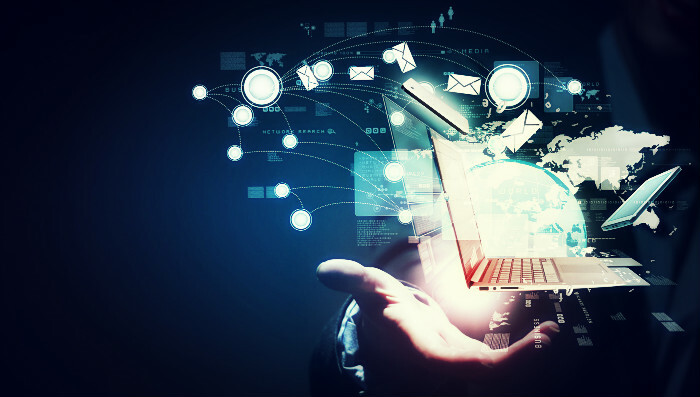 Business technologies make operations easier and more efficient. Technology has become an integral part of the businesses today- and this is a trend which is growing day by day. 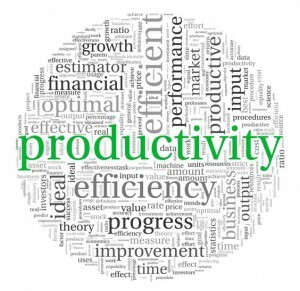 Using technology is directly correlated to business growth as it increases productivity. Clean office surroundings elevate the concentration of the employees and therefore increase the overall productivity of the business. Bond Cleaning is a reliable and recommended end of lease cleaning company in Melbourne that has expertise in cleaning the commercial spaces and ensures the refund of bond money. There are many ways to use technology to increase the productivity of your business Businesses these days are continually looking for new technologies to create a workforce which is more effective, more productive and more inventive. Recognising technology solutions that release various attributes and enable true productivity is the goal of all businesses today. Businesses are saving more capital as the in-house staff is depreciating and mobile workforce is expanding day by day. Maintaining large workspaces requires a lot of money; this is why more and more companies are giving their employees the option to work offsite. It is helping them save money for the business. This also helps the hiring team to get better candidates. Mobile-friendly technologies provide instantaneous access to business information, data, and their team; as required by productive employees. Collaboration tools provide faster and more comprehensive communication which helps in creating an open and communicative environment. Collaboration software is another method to increase productivity using technology. This software provides an all in one environment where team members plan, discuss and execute their business strategies. These programs have all the tools at one place with access to every member. These tools help the employees in communicating with each other as it creates a chat-like environment, which serves as a more comfortable setting. Another way by which these collaboration tools help in increasing productivity is by minimising meetings, which is one the biggest time taking activity in businesses. A recent study says that twenty percent of a company’s total time spends in attending the meetings. By using these tools, you can reduce the need for unnecessary meetings. Technology helps in getting your staff and work well organised. Infinite hours get wasted while searching for information through spreadsheets in large data sets. Creating a database system allows your staff to easily access the data and information which will automatically increase the efficiency and productivity of your employees and business. These database systems not only provides easy access to different information but can manage other things also such as keeping track of your employees’ work hours, or company’s expenses and many other things- all in one place. Such tracking solutions help the managers, clients and employees in remaining up to date, productive and compliant. Technology provides your employees easy and automatic access to customer information and hence minimises time wasted searching for that information. As a result, it increases customer satisfaction as they get faster remedies to their problems. 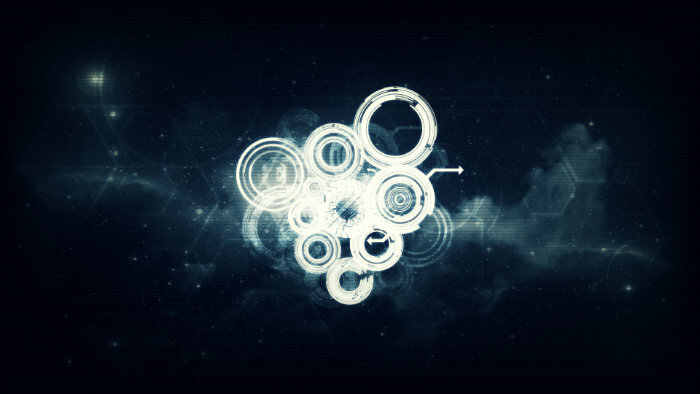 Using technology to explore virtualisation helps in lowering hardware maintenance costs and capital expenditures as it lessens down the frequency of essential upgrades. Not only this, but it also saves costs on services repairs. Virtualising operating systems extends the lifespan of older desktops computers. Having a virtual copy of your infrastructure can get your team back up and running instantly as it’s hard to be productive during a power cut, and downtime is expensive. Many software and applications offer higher process efficiency, and this leads to increased productivity and higher profits. Hence, examine the business technology that you are using and try to seek out if there are other systems available that provide far more process improvement. Not only using the available technology but it’s crucial that you have the right technology because it has a direct impact on productivity. It is quite common for different business tools and technologies to consume large amounts of time and efforts from your team. For example, Digital spreadsheets are used properly are very resourceful tools, but if the data is not entered in the correct place or the formulas are incorrect, all the time and effort will be ruined, and you will not achieve the process improvement. All IT tools are built to improve processes; they simply cost your organisation time and money if not used properly. Engaged and highly productive employees working on organisation’s strategic objectives lead to the growth of the businesses. Employees want to be appreciated for their hard work and technology helps in reducing the communication gaps and conveying to the members of the team that they are valued. This, in turn, leads to greater business productivity. 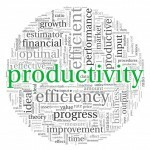 Business productivity software and technology provides tools to the organisations to overcome different challenges that arise during the execution of business strategies. When it comes to cleaning my office space, I always try to keep the harmful cleaning products away. However, it is difficult to clean some areas without chemical based cleaners, but I still make sure to use non-toxic cleaners as much as possible for the better health of not only the employees but also the customers who visit the premise. A clean office space not only ensure better productivity but also leaves a good impression on the visitors. Recently, I got to know about the cleaning solution that you can prepare without the use of any harmful chemical. The solution is simple and cost-effective. You can use it for multiple purposes, from cleaning tough stains to purging dark grease and grime. Close the lid and shake the bottle to mix them well. You can use this solution to clean tables, chairs, doors, windows, washbasin and other things. If the smell of the vinegar starts getting repulsive, you can switch to the second step. You can add the most suitable essential oil to put down the smell of the vinegar from the solution. Here, the essential oil works as a scent for you. So, you can add 10-15 drops of the oil to your solution, and mix the solution again. The real work begins when you spray the solution on the dirty surfaces, and then scrub using microfiber cloth. This can help you remove the grime at ease. You can scrub until the surface gets grime-free. I recommend you to avail the services of BondCleaning.Sydney, one of the leading end of lease cleaning experts in Sydney, New South Wales, on monthly basis to ensure the cleanliness and hygiene of your premise. They not only save time but also focus on giving the eco-friendly way of cleaning your space at the most affordable price. How to Sustain its Effectiveness? You can store the cleaner in a dry and cool place. Don’t forget to add a label of cleaner in front of the bottle before storing it any place. Hard wooden floor and tiles, etc. The above mentioned article can help you create a powerful and eco-friendly cleaning solution with simple ingredients. This can keep your commercial property neat and clean, without the use of any harmful chemical. Business sale as a process continues for about nine to twelve months, hence confidentiality is critical to the business selling process, irrespective of the size of the business unit. It is absolutely essential for a successful business sale. In fact, to sell the business at its optimum price, the entrepreneur should keep it confidential. It is true to state that every word will be public when such decisions are taken, however when, what and how much of information is to be made public, should be at the sole discretion of the business owner himself. Employees become insecure and start seeking job opportunities out in the market. They see it as an event which will threaten their well-being. They also tend to share the information with other colleagues, spreading the information further. Losing the key employees during the sale process, can prove to be difficult a situation. This may lead to loss of potential buyers. It is best to disclose the sale to employees only after the deal is successfully closed. Customers may fear a decline in the quality of product/service etc., and shift to competitors. Suppliers might hesitate in renewing the contracts. Potential customers also lose interest in the company’s service/product offerings, if the news of the business sale is out in market. Competitors may indulge in spreading rumors affecting the business sale price. They may even spark aggressive reactions leading to a decrease in the company’s value. Such negative rumors create instability and unease in the market about the company. Creditors too may get nervous and withdraw investment prematurely. This fuels negative publicity and hence affects the sale price adversely. The buyer’s perception gets hampered, if the business selling news is out, prematurely. An entrepreneur may want to hurriedly complete the selling process, owing to employee attrition, negative rumors by competitors etc. which in turn will cost him as the sale price will drastically fall. If the business is known to be for sale for too long, it leads to a reduction in selling price as the market tends to develop a perception that things are not on track leading to no prospective buyers. An entrepreneur should ensure that the business continues effectively, as always. In order to maintain confidentiality, an entrepreneur should hire a professional/business broker who understands the importance of the sale process and markets the business in an appropriate manner. He can also feed the right and necessary information to buyers, and thereby smoothen the process. He can post Blind Ads, Listings etc., pre-qualify, and register buyer prospects and finally release information in phases. A broker ensures that only serious buyers are dealt with thereby the best deal comes forward. If buyers cannot share the reason of them being interested in the deal, or the amount of liquid cash available with them, or provide references of their business credibility, they are not considered as serious buyers. Blind Ads: They basically camouflage the identity of a business unit. It is a difficult task as the words of the advertisement are to be cautiously chosen. Blind Ads or listings should carry information in a balanced manner, as too little information will keep buyers away and too much information can run into confidentiality issues. This is the simplest and most common way to make sure that no one knows that the entrepreneur is selling his setup. Pre-Qualify Buyer Prospects: This is indeed the best way to keep confidentiality of the business intact. Even before the first advertisement appears the broker or the hired professional has to screen the prospective buyers. These buyers are serious shoppers. Register Buyer Prospects: At this stage the confidentiality agreement/non-disclosure agreement is signed between the buyer and seller. Every buyer must sign the confidentiality agreement, before detailed information or sensitive financial data is provided to him. A confidentiality agreement should be mutual and help maintain confidentiality of information, prohibiting the buyer from making disclosures to others about the business transaction; also it should ensure that confidential information is being used only for evaluating potential acquisition. 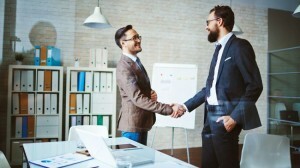 Some prospective buyers may request to meet employees, however, an entrepreneur should attempt to persuade them to meet employees after the deal is finalized. Employees can meet the new management who can in turn provide job security. Information Release: This strategy helps retain prospective buyers and helps create a desire to know more about the business. It helps in building the sale price. Entrepreneurs who decide not to hire a broker may create a separate e-mail id to address the buyer’s inquiries. A non-business e-mail address will help disguise the identity of the seller. A selling memorandum is to be prepared so that the confidentiality agreement is signed by the prospective buyer. Very few employees are to be involved in the said process, if at all necessary. All the meetings, with respect to the sale, are to be held after business hours or at an offsite location. Upfront disclosures can help build trust with the buyers and can prove to be an asset in the later stage. In case the news of a sale of the business is out, then the entrepreneur without panicking should deal with it firmly. He should explain to his employees that such a deal will only secure their future, suppliers / customers will continue to stay with the business if they like the product/service offering as they have the least interest in the business owner, and finally there is no control over the rumors doing rounds in the market as spread by a company’s competitors, irrespective of the decision of sale being known to them or not. Also in case the information is out, then the entrepreneur should decide whether to accept the truth or deflect the question until one is ready to accept the same. Further there are several remedies, in a legal course, in case of breach of confidentiality. A business owner should think like a buyer when preparing to sell the unit. It is thus concluded that the news of selling a business is best kept confidential, in the interest of the seller himself. Confidentiality is to be maintained till the day the transaction is closed. The significance and role of the industrial warehouses are inevitable despite the size of the business. In the current market in the state of New South Wales, Australia, the investment in the industrial warehouses is considered to be a lucrative step. It is true that the purpose of the industrial warehouses not just confined to investment only. 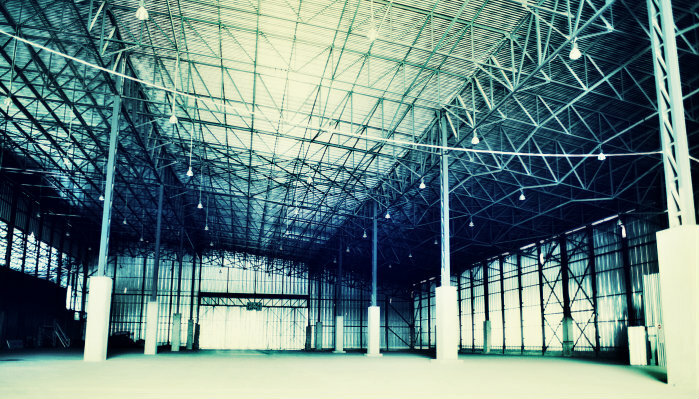 There are many tangible and intangible benefits associated with the presence of an industrial warehouse. It is certainly a reliable place for the storage of inventory, after manufacturing and before being released to the market. Here, not just the finished goods, but raw materials are also kept to ensure no delay in the cycles of productions. The industrial warehouses are nothing less than a boon for the small and medium scale businesses, as they cannot afford to lose customers at the point of heavy demand. When you plan to buy an industrial warehouse in this leading financial centre of Australia, then you ought to be cautious about one important thing. The connectivity of the warehouse by road is very important for the handiness in transportation. The availability of the warehouse at a reasonable cost is important, but accessibility through road and the nearest location of the manufacturing unit of your business is even more important. Before buying an industrial Warehouse you should have a list of warehouses to choose from, selecting the best of the best for your needs. You can visit CommercialProperty2sell to find hundreds of industrial warehouse for sale in Sydney. Please, don’t forget to calculate the land area of the industrial warehouse before finalizing the deal. It is worth ensuring that it is in accordance with your inventory requirements. There are many certified firms in Australia, particularly in the state of New South Wales that can appoint professionals for you to calculate the land area in acres and floor area on m2 basis. They will also advise you whether the chosen warehouse is ideally fit for your commercial needs or not. If you are buying an industrial warehouse in Sydney with the investment viewpoint, then please prefer one with significant landmarks around it. You can also keep an eye on the industrial projects and developments that are going to take place around your favourite warehouse. You can get authentic information about the upcoming industrial projects from the authorized federal government websites of Australia. As the price of the land becomes dearer with the advent of industries in the region, you can even resell the warehouse in the coming year at a better rate of value. There are some of the official New South Wales online portals from where you can access warehousing distribution that are ready for sale. The information is frequently updated on these portals and all the vital information like asking price, sales revenue and cash flow are either displayed publicly or readily made available on request. These authorized online commercial portals offer unique features like save listing, RSS Feeds, instant seller contact tab. 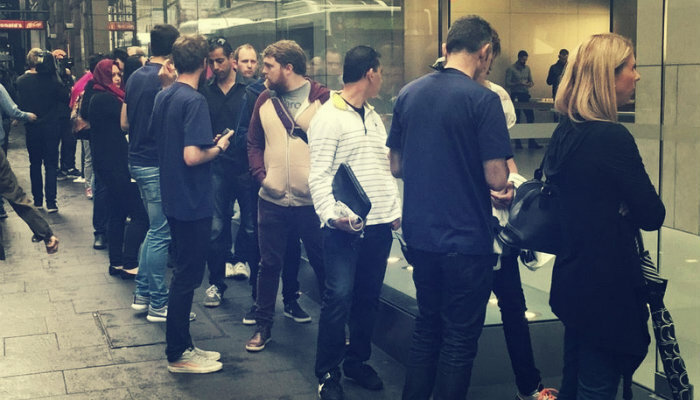 If you pick the online option, then it will save a considerable amount of time, money and resources, which otherwise spent roaming various parts of Sydney to pick the right deal.